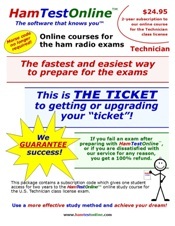 This online course is the fastest and easiest way to prepare for the Technician Class license exam! This convenient format allows you to study when you want, at your own pace. All platforms are always up-to-date with the latest question pools.